Susy’s research focuses on international intellectual property law. 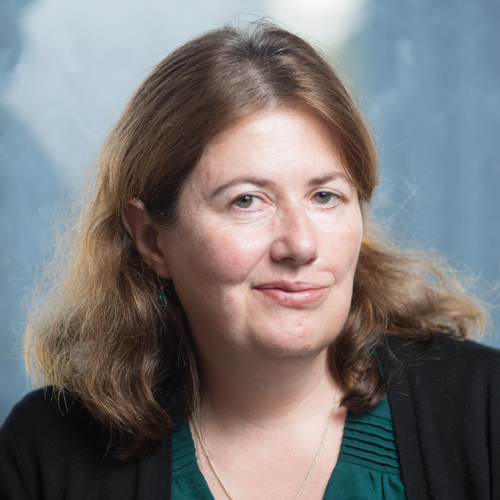 She teaches courses in intellectual property (including copyright, patents and trade marks), patent law and innovation, global intellectual property issues, international trade law and the protection of mātauranga Māori (traditional knowledge) and regulation. She has published numerous books, articles and book chapters and is frequently invited to give conference presentations on various aspects of intellectual property law and policy. She is Director of the New Zealand Centre of International Economic Law. From 2011-2013 Susy was the Project Leader of the New Zealand Law Foundation Regulatory Reform Project, funded to NZ$1.8 million. The project produced a cutting-edge regulatory toolkit. Before joining Victoria University, in 1997, Susy practiced law in New Zealand and London. Susy qualified as Barrister and Solicitor of the High Court of New Zealand in 1988 and as a Solicitor of England & Wales in 1991. Susy was President (2015-2017) of the International Association for the Advancement of Teaching and Research of Intellectual Property (ATRIP). Susy has been a visiting Professor at the University of Haifa (Reinhold Cohen Visiting Chair) 2014; University of Western Ontario 2012; Fellow of Clare Hall, University of Cambridge and visitor to the Centre for Intellectual Property and Information Law, University of Cambridge, Michalmas term 2008; visiting Professor, University of Iowa 2000; and in 2013-2014 she is a Senior Fulbright Scholar and Hauser Global Fellow at New York University. Editorial Board, Victoria University of Wellington Law Review 1998- 2006. The Interpretation of International Intellectual Property Agreements. "Mission Creep" - the effects of regulatory regime shifting from patents to data protection. "Traditional Knowledge, Indigenous Peoples, and Local Communities" in Rochelle Dreyfuss and Justine Pila (eds) The Oxford Handbook of Intellectual Property Law (Online Publication, Oxford Handbooks, Nov 2017) www.oxfordhandbooks.com pp 1-34. Test Tubes for Global Intellectual Property Issues: Small Market Economies (Cambridge University Press, Cambridge, 2015) 230 pp. (with Dreyfuss R) "From Incentive to Commodity to Asset: How International Law is Reconceptualizing Intellectual Property" (2015) 36 Michigan Journal of International Law pp 101-142 SSRN. (with Peter Drahos) Indigenous Peoples Innovation: Intellectual Property Pathways to Development (ANU epress, 2012) download. Intellectual Property In New Zealand (2nd edition, Lexis Nexis, Wellington, July 2011) 900 pp. "Challenging TRIPS - Plus FTAs - the Potential Utility of Non-Violation Complaints" (2009) 12(4) Journal of International Economic Law pp 1023-1065.